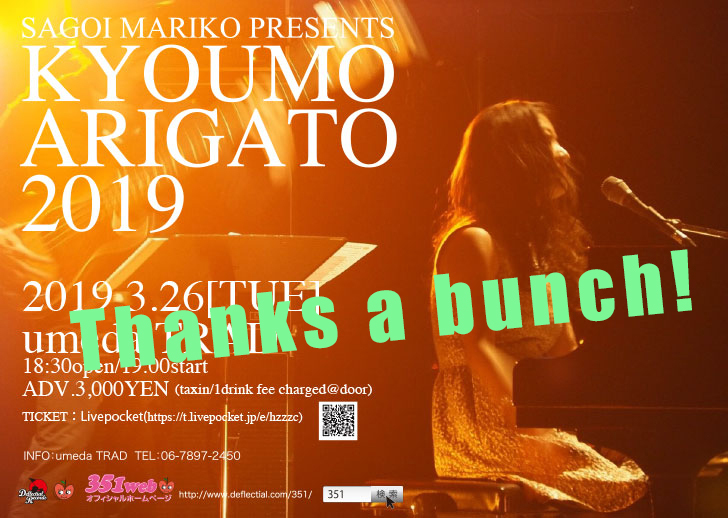 Sagoi Mariko presents　KYOUMO ARIGATO 2019 決定!! 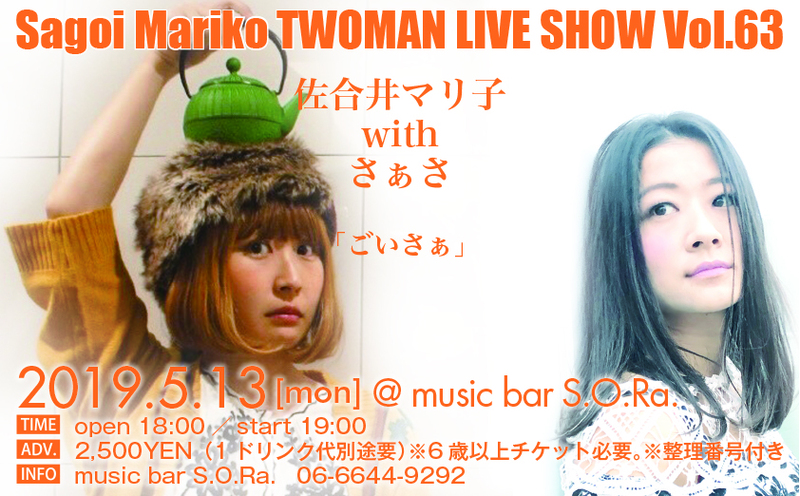 Sagoi Mariko TWOMAN LIVE SHOW Vol.56、57決定!! Eggs presents FM802 MINAMI WHEEL 2018 〜20th Anniversary〜出演決定! 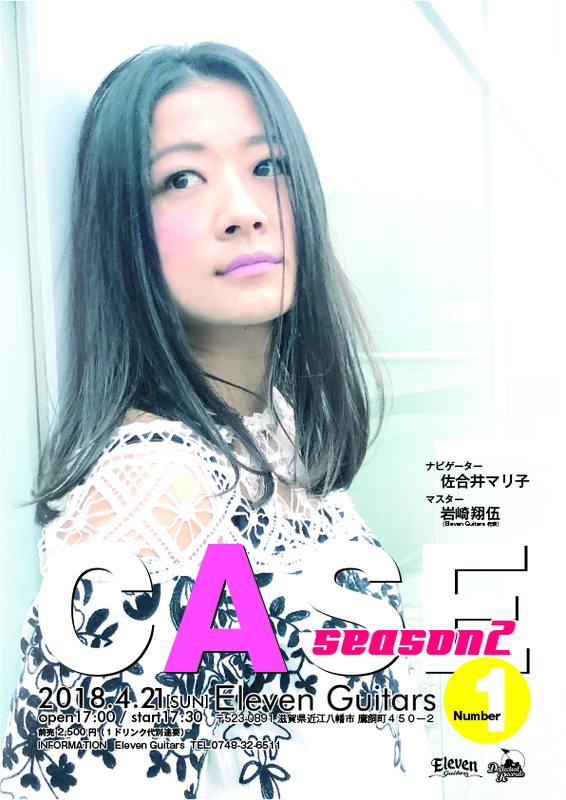 7/15　滋賀　近江八幡Eleven Guitars「CASE Number-6」本日よりチケット発売開始! 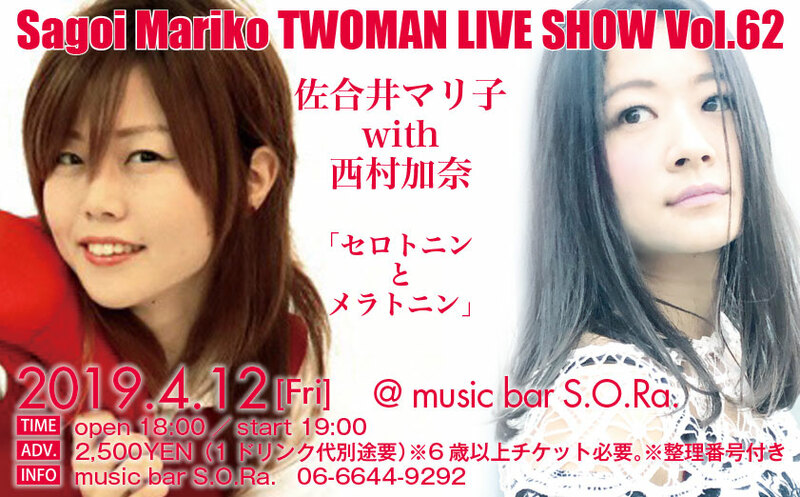 3/8　「Sagoi Mariko Twoman Live Show vol.51」with 近藤美里　開催決定!! 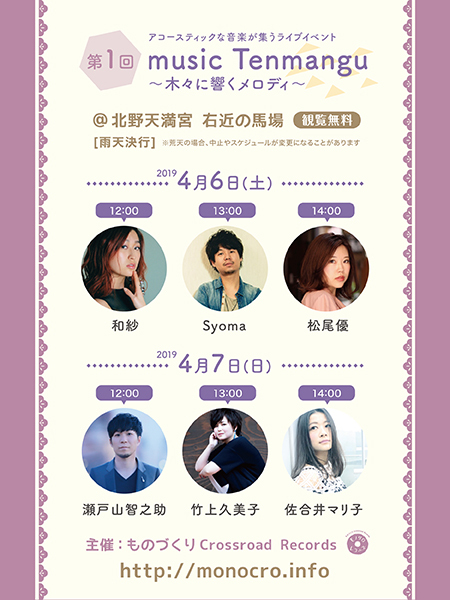 3/26　「SAGOI MARIKO PRESENTS KYOUMOARIGATO2018」開催決定!! 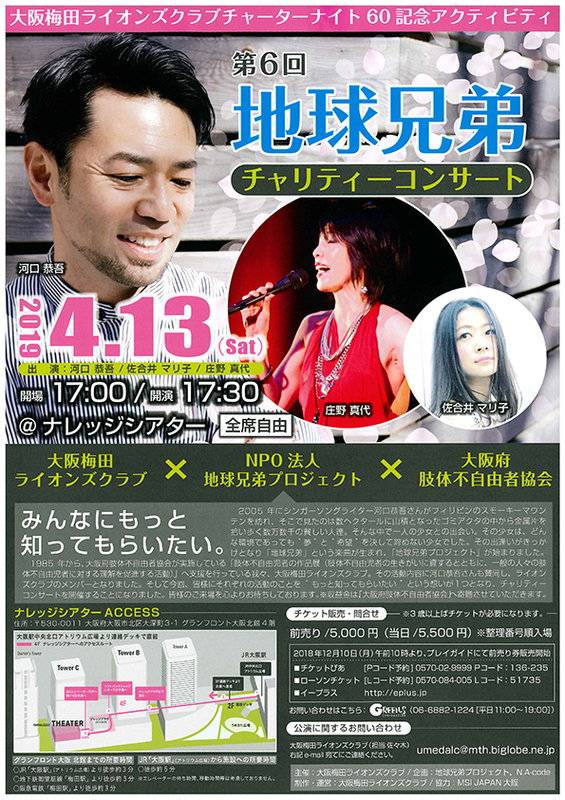 大阪　難波 music bar S.O.Ra.